I read two new adult books in a row and I wanted to share some short thoughts about them. The concept of this book sounded so unique and interesting that I couldn’t wait to read it. The idea of art pieces that were based on confessions left in an art studio anonymously through a mail slot on the door was fascinating, and the first part of this book that focused on that idea was my favorite part. 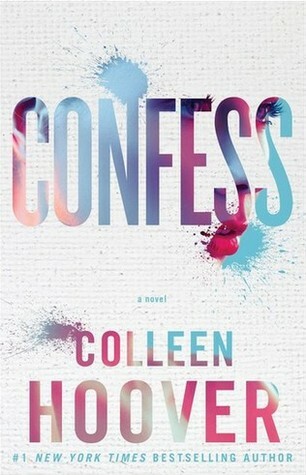 However, like most of Colleen Hoover’s books, after the happy and fun beginning, there was drama and a lot of it. The truth is it got to a point where I was bored and annoyed, and I have felt like this with the last couple of Hoover’s books I have read, and in general, with the last couple New Adult books I have read, it’s just too much drama, all the characters need to have a traumatic past, or a really complicated reality. Also, to me the characters in this book were nothing especial, they reminded me of characters from other Colleen Hoover’s books, and I felt like the story drag a little. In short, I found the concept and the writing in this book to be great, but the characters in terms of personality and development weren’t particularly noteworthy. Also, the drama was excessive and took away from the story. I really enjoyed reading this book, it was short, the writing was good, and the characters were funny and witty. It was one of those really predictable books, where you know what’s going to happen at the end, but you really enjoy the ride and all the different twist and turns that it takes to get there. I really appreciated the diversity in this book, because the main female character was Brazilian, and as a latina I really enjoyed having a more relatable protagonist. This book is definitely an easy and fun read, and even if I could point out a few things I didn’t like about it, those things didn’t affect my level of enjoyment of this book that much. Have you read these books? did you like them? What new adult books do you recommend? Let me know in the comments! Colleen Hoover's been on my list to read for awhile. I love her book covers, too.